FIFA President Sepp Blatter has called for the creation of a task force charged with making the next World Cup “more attractive” than the last. FIFA’s primary concern is that of ‘quality’. When the most exciting moment of a tournament is when a particularly gifted octopus predicts the outcome of the final, you know it’s a pretty poor World Cup. And let there be no mistake about that. 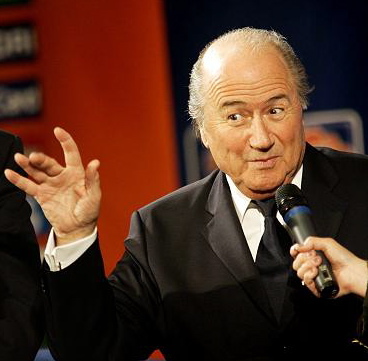 I agree with Blatter (for once) that something needs to be done to improve the quality of the next World Cup, which will be held in Brazil in 2014. However, I doubt the effectiveness his task force could have. How will it ensure players such as Ronaldo, Messi and Kaka actually show up in Brazil? How will it ensure teams play to their potential? It can’t. But what it can and should do is focus on implementing technology to help referees and players maintain a high quality product. Perhaps the biggest argument, and the main fear of those against the introduction of technology is that it will interrupt the flow of the game. Here’s something a lot of these people don’t seem to realize: we’re with you on this. Nobody wants to see Sir Alex Ferguson reach into his sock, pull out a red challenge flag and throw it onto the field after a throw-in doesn’t go his way. To this end we can’t have stoppages of play to review a throw-in, a dive, or even offsides. Stoppages of this sort would most certainly disrupt the ‘flow’ everybody speaks so highly of. Unfortunately, we will have to live with calls such as the one that denied the USA a deserved winner against Slovenia last June for a little longer. Using technology to aid with these calls may be possible in the future, but let’s not get carried away just yet. However at the very least, disputes over whether the ball crosses the goal-line should be settled immediately. In a sport like soccer, where goals don’t come as easy as points do in other sports, doesn’t it make sense to make sure the right call is made? That is, one goal is probably going to be more important than one basket in basketball, or one point in tennis. Scoring more goals than the other team is the whole point, after all. Shouldn’t we be absolutely positive about their validity, or lack thereof? Not only do goals change the outcome of the game (obviously), they change the strategies of both teams from that point on. What happened after Frank Lampard’s goal against Germany was wrongly disallowed this past summer? England pushed on for another goal and were sent home by two quick counter-attacks. We hear the commentators say it all the time, and it’s one of the most used soccer clichés: “Goals change games”. Well, it’s true. Something so important in a sport should not be left up to chance in this day and age, especially when it can be verified with such ease. It is important to note that those who advocate technology want to help referees not hurt them. The last thing we want is for referees to lose the players’ respect, if that hasn’t happened already. Their job is to make the correct calls, and technology will only help them do that. Despite this, UEFA President Michel Platini has argued against the introduction of goal-line technology, claiming that it will lead to “Playstation football”. I don’t necessarily see this is as a bad thing, since I love FIFA 11 on my X-Box and I know you do too. This entry was posted on Saturday, January 1st, 2011 at 10:49 am and is filed under Footy. You can follow any responses to this entry through the RSS 2.0 feed. You can leave a response, or trackback from your own site.